An approved Form I-129F, Petition for Alien Fiance, forwarded to the American consulate abroad where the non-citizen wishes to apply for the K-3/K-4 visa. NOTE : the consulate must be in the country in which the marriage to the U.S. citizen took place if the United States has a consulate which issues immigrant visas in that country. If the marriage took place in the United States, the designated consulate is the one with jurisdiction over the current residence of the non-citizen spouse. So that the non-citizen spouse and child may apply for a K-3 nonimmigrant visa for a spouse and a K-4 nonimmigrant visa for a child, the citizen must file Form I-130 on behalf of the non-citizen spouse with the applicable Service Center having jurisdiction over the citizen's place of residence. The citizen petitioner will then receive a Form I-797, Notice of Action, indicating that the I-130 has been received by the USCIS. The citizen should then file a copy of this I-797, along with a Form I-129F on behalf of the non-citizen spouse and any children, to the Service Center where the underlying I-130 petition is pending. Use the address listed on the most recent receipt notice or transfer notice and include a copy of that notice with your Form I-129F. If advice is needed, you may contact the USCIS District Office near your home for a list of community-based, non-profit organizations that may be able to assist you in applying for an immigration benefit. 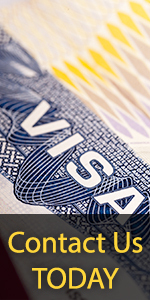 Please see our USCIS field offices home page for more information on contacting USCIS offices.